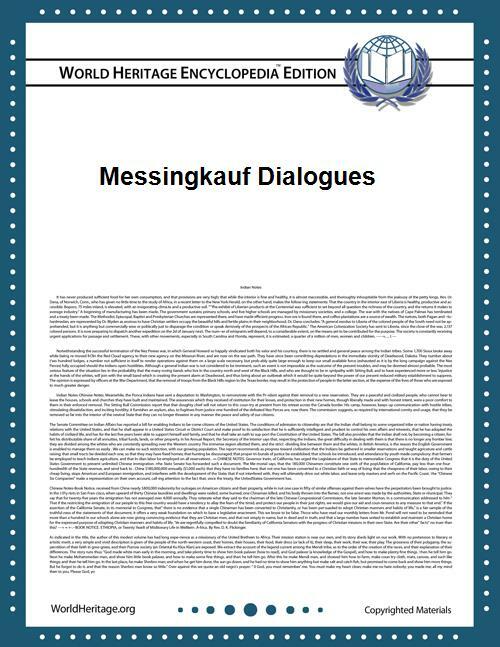 The Messingkauf Dialogues (German: Dialoge aus dem Messingkauf) is an incomplete theoretical work by the twentieth-century German theatre practitioner Bertolt Brecht. John Willett translates "Der Messingkauf" as "Buying Brass". This theatre-related article is a stub. You can help World Heritage Encyclopedia by expanding it. This article about a non-fiction book is a stub. You can help World Heritage Encyclopedia by expanding it.